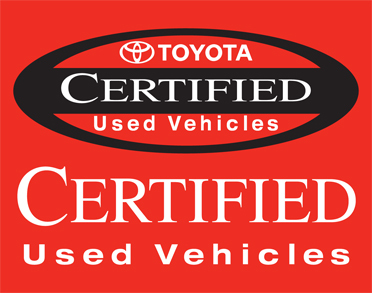 Our Toyota Certified Used Vehicles Car Flags features a striking red background with the current Toyota Certified Used Vehicles logo emblazoned in black. Beneath thism the words "certified used vehicles" are written in white letters, to enhance the informative quality of the flag. 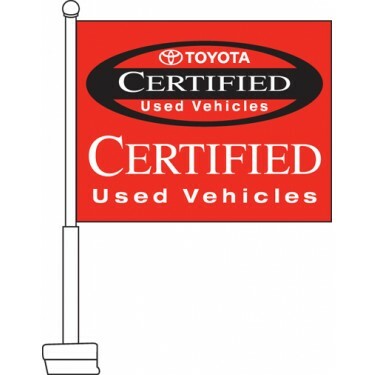 This makes the flag ideal for any Toyota dealership looking to promote their certified used vehicles. It can be used to highlight a specific car, or to advertise the dealership more generally. 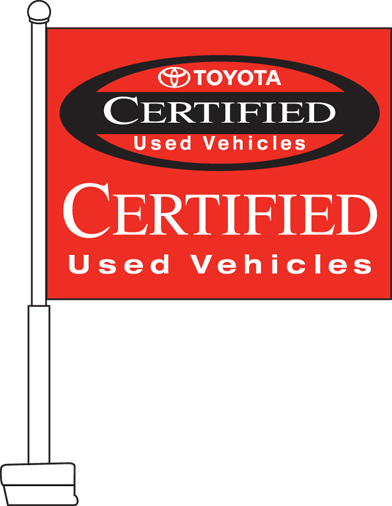 If you sell certified used Toyotas, then this attractive flag is a must have!